Many of you watched your mothers or grandmothers work in the garden and wondered how they could make it such an enchanted and beautiful place. You decided right there that when you grew up your patio and garden areas would look just as lovely. That was before you experienced "chronic back pain." 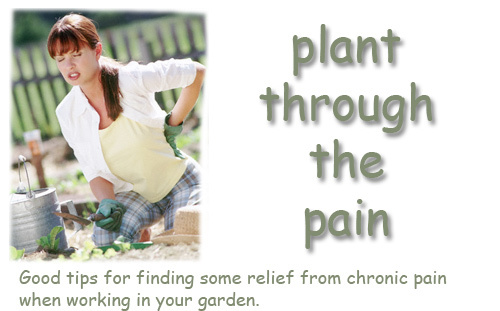 Back pain doesn't mean you can never have a garden - it simply means if you follow a few simple suggestions you can avoid it all together or at least be able to deal with it easier. One suggestion is that pre-planning makes a huge difference. Instead of planting a perennial flower in an area in your garden where it may not do well, read before hand and plan in advance. This will save you from having to plant items multiple times - which means less work for you and less stress on your body. Don't under estimate planning in advance. 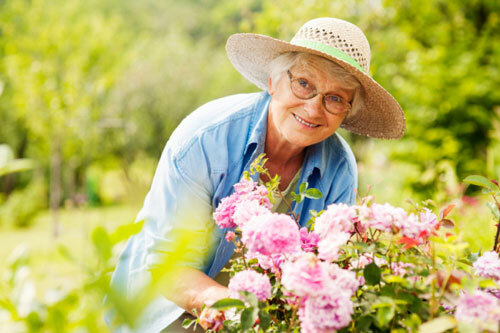 Studies have proven that working in your garden can help reduce migraine headaches and facial pain. Pain is less intense because of the distraction you experience while planting beautiful flowers. Enjoying the enjoyable experience is half the battle. Before stepping into the garden stretch out your muscles. 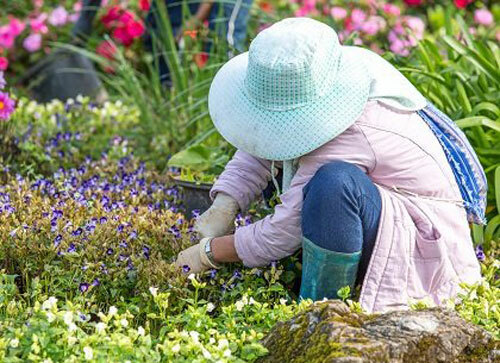 While gardening use an inner timer to remind yourself to positions and activities often. Maybe weed for 10 minutes, then switch to raking, then watering. Use a garden stool or lightweight kneel pad that are easy to carry and use them often. Raised garden beds are also a great idea. 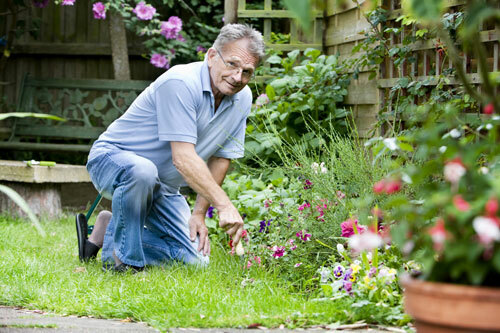 You can stand while doing your gardening chores and the stress on your lower back are minimal. Asking a neighbor boy to help with lifting or trimming is always a good idea. If you just ask you will always be surprised how easily people will help. Although it's very challenging to bring beauty out of chaos in the garden, its' also very rewarding. Remember to relax, enjoy, take a deep breathe and look around you. Maybe one day your grandchildren will watch you and dream of their own gardens. Add organic matter, such as composted manure or chopped leaves, to help the soil retain moisture and improve drainage & fertility. Look for roses at your local nursery or buy online. When designing a plan for your garden. Don't forget to plant in garden planters - not just in the ground. This gives you portability and makes moving the plants into direct sunlight a breeze. It also provides another opportunity to decorate and add to your charms landscape - while using beautiful pieces of pottery. Large colorful ceramic pots are a added bonus and if you color coordinate with the roses you select, the finished product can be stunning! 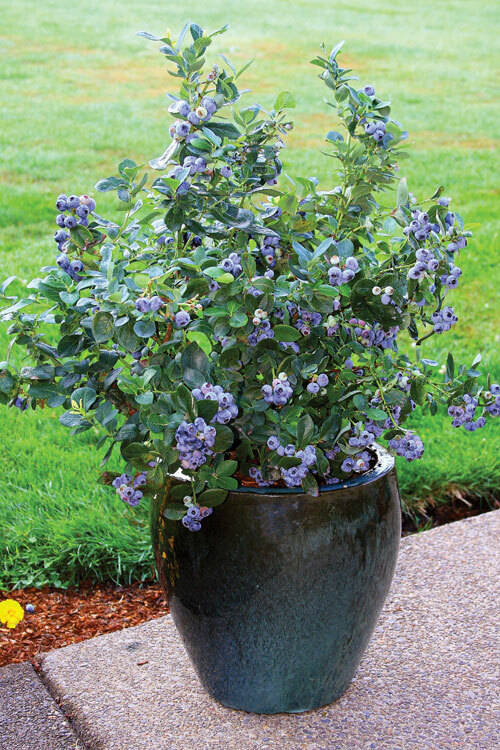 Blueberries are easy to grow and now is the perfect time of year to add them to your yard or garden planter. For the most fruit, plant at least two different selections. Blueberries prefer slightly moist, well-drained, acid soil in a sunny spot. Mulch these plants also. Amend this soil now in areas where you plan to plant veggies, herbs or flowers this spring. Work the soil when the ground is dry. Add organic matter to improve fertility and drainage. Include sulfur, lime, or any needed nutrients as indicated by a soil test. Good hand tools will make this job easier. 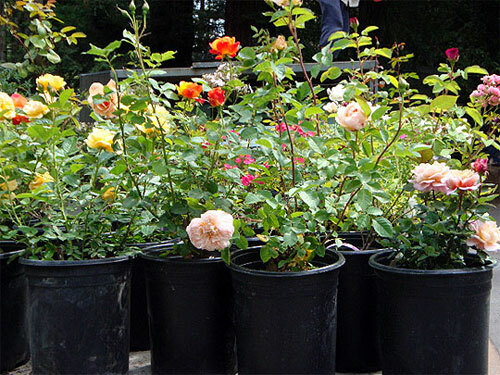 February is a great time to prune ever blooming roses whether potted or in the ground. Begin by removing dead and weak canes. Then cut healthy ones to a height of 24". This encourages vigorous new growth. Climbing roses should be pruned after they flower. Twist existing canes around supports, along fences, and across arbors so that part of the cane is horizontal to coax blooms. This month is a time of hope. You dream and plan for what is to come in your yard and garden area now. Make preparations when the time is right and the payoff will be huge. Now That I have Planted - What Do I Do? 1. Provide Ample Water: Proper watering is vital to plant survival, but requirements vary. In clay soils, infrequent yet thorough watering is best, but bear in mind that water will not percolate rapidly through the soil. In a sandy loam, however, water percolates easily through the soil. In that case, lower volumn and more frequent watering is best. 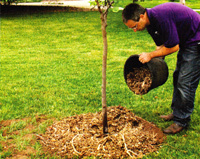 To determine if trees should be watered, insert a screwdriver into the soil. If it penetrates easily, the soil is moist and no water is needed. 2. Mulch the Root System: Mulching preserves soil moisture and moderates soil temperatures, keeping it within the range that roots prefer. Mulch also controls weeding and helps keep lawn mowers and string trimmers - leading cause of trunk damage - at a distance. Mulch should be 2 to 4 inches deep and cover the entire planting hole and soil berm. It should not touch the plant. 3. Delay Fertilizing: A rule of thumb is that newly planted trees & shrubs should not be fertilized during the first year or two; the only exception would be those planted in nutritionally poor soils. 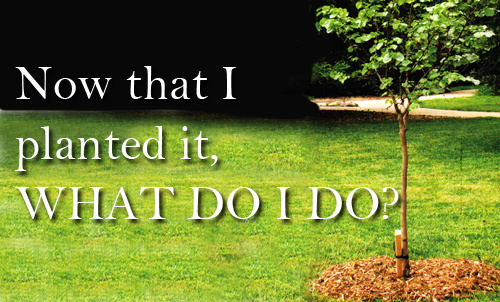 Incorrect fertilizing can hurt the root system and damage the plant so follow package directions. 4. Limit Staking: The purpose of staking is to prevent the root ball from rocking, not to prevent the top of the tree from swaying in the wind. For most trees, one or two stakes is sufficient. Fasten the stake to the trunk with rubber strapping. All staking should be removed after one year. 5. 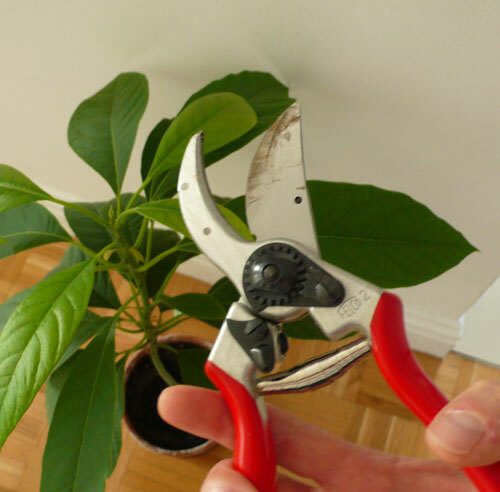 Prune Lightly: Carefully inspect your new plant and remove any dead, broken, or diseased limbs at planting time. Aside from that, newly planted trees and shrubs need no pruning. It generally takes one year per inch of trunk diameter when planted for a woody plant to become established, so hold off any structural pruning until then. 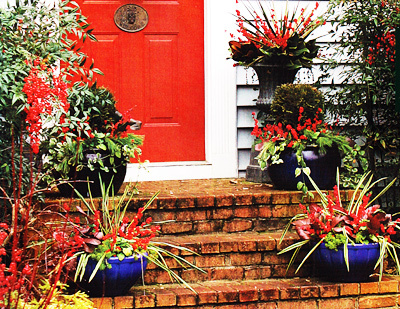 Container gardening doesn't have to stop when the growing season is over. Taking advantage of strong plants and seasonal cuttings keeps your pots going into spring. Rely on plants with winter flowers and ones that feature winter berries. It is always a good idea to include plants with interesting leaves. Many leaves come in variegated colors which add a lot of character and depth. Another great feature are plants & trees that emphasize intriguing bark. Like Crape Myrtles, Oakleaf hydrangeas and Paperbark Maple. 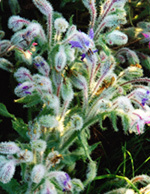 There are plants that have unusual natural structure and grow in different shapes. Japanese maples - Red Twigged or yellow twigged dogwoods. 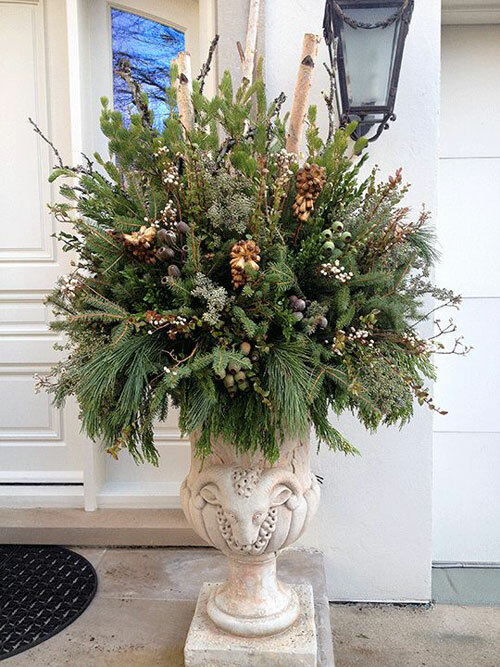 During the winter cold you should realize that this is not the time to dead head all plants. You can attract birds by leaving seed heads of perennials. Even though you do not want to do extensive pruning during the cold winter months, you can prune evergreens into compelling shapes that add interest and fun. As mentioned before - grasses are a easy way to invite motion in your garden or potted plants. They look especially inviting when placed on either side of a your front door. Lastly, don't forget to add sensory splashes through out your garden with chimes, mirrors, and pinwheels. The is the time to showcase garden ornaments, potted plants and sculptures. A garden does not have to look lackluster in winter just because some of the plants go dormant. Use these ways to keep a garden full of life in the cold season. 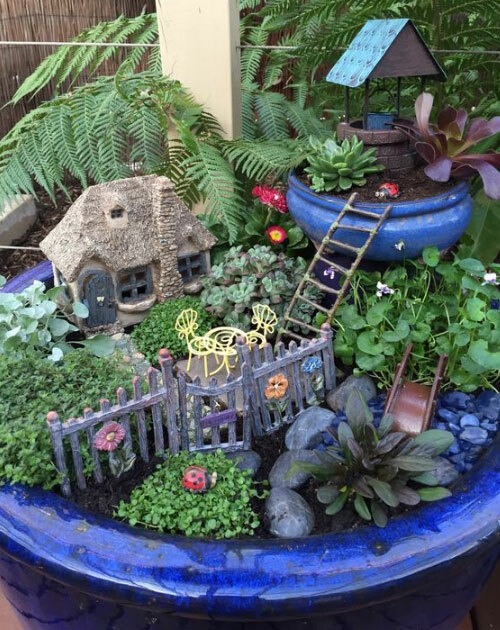 Fairy gardens tickle the imagination. There's something about these under sized - but perfectly proportioned - gardens and their diminutive denizens that makes us feel a bit like Peter Pan. Suddenly, we do believe in fairies. 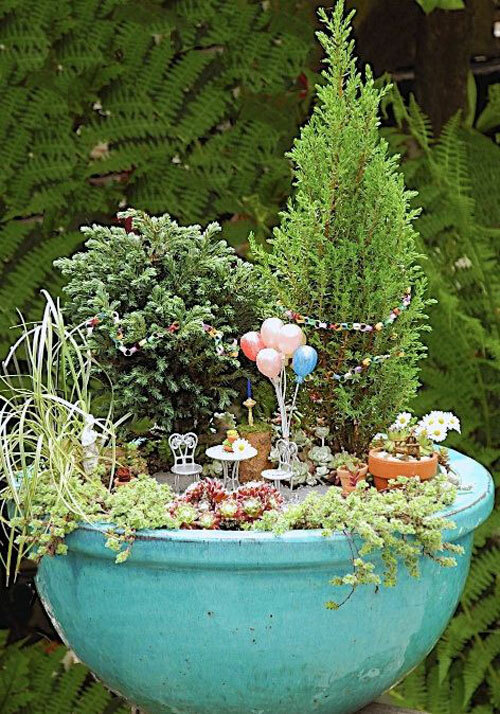 Fairy gardens are ideal for small space situations, first-time gardeners, and busy people. 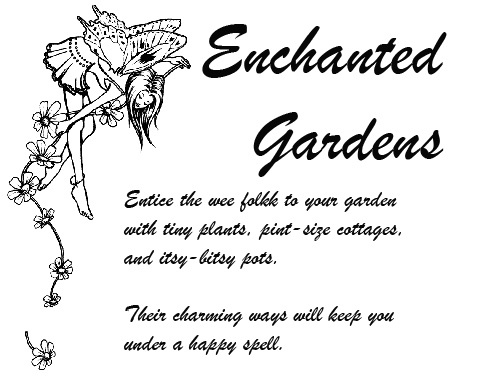 Though fairy gardens still need watering and tending, their size makes them faster to create and easier to maintain. Almost any container can house these little creations. Small clay pots, glazed saucers, birdbaths, and window boxes. Its without drain holes work well also, but avoid over watering and cover or protect them in heavy rains. 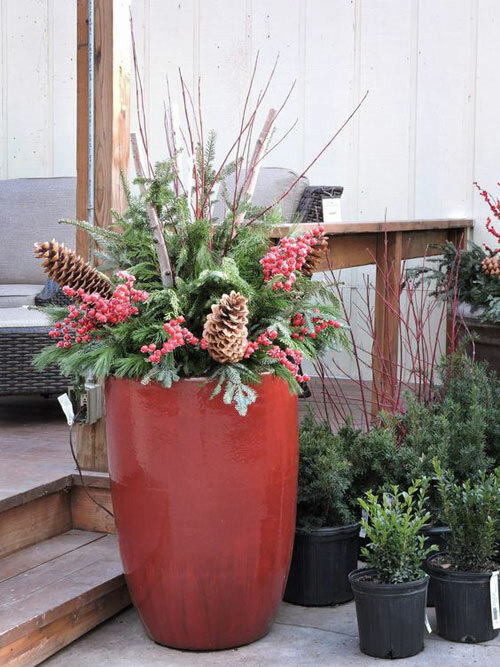 Fill the chosen garden container with potting soil mix. Avoid garden soil because it doesn't drain well. 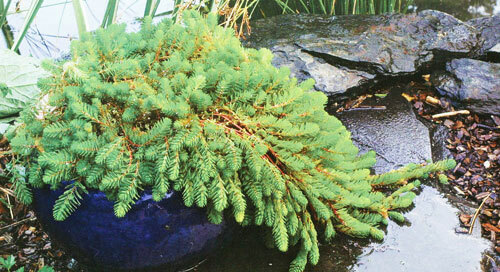 Choose miniature plants such as mosses, babies tears, sedums, thymes and ivies. Prune the plants to maintain their small stature. The most interesting Fairy Gardens create a miniature scene that is completely in scale. Use small doll furniture and objects. Place a completed garden where plants receive enough sunlight. All the soil to dry out before watering. Over watering will kill plants faster than under watering. 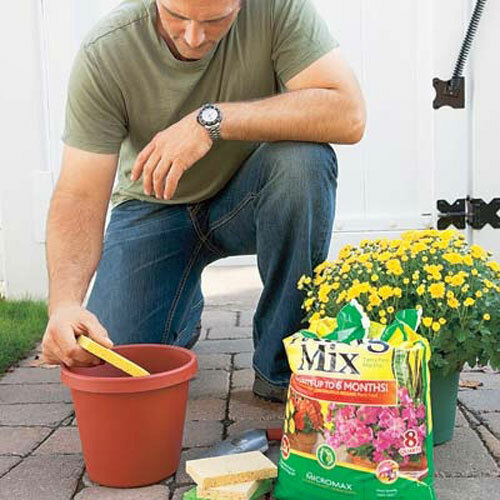 When actively growing, fertilize plants every other week according to package directions. Finally, relax and have fun. Fairies have a sense of humor. Don't be surprised if things seem to change the longer fairies inhabit your garden. Ideas: Live near the sea? Find a seashell container and cover the potting soil with blue stone to look like water. Not all magical beings are fairies. Use a mermaid and place amoung succulents to create a fish tank effect. Add a venus fly trap for fun. A rustic woodland setting with mini step stones, garden fence and birdhouse is adorable and creative. 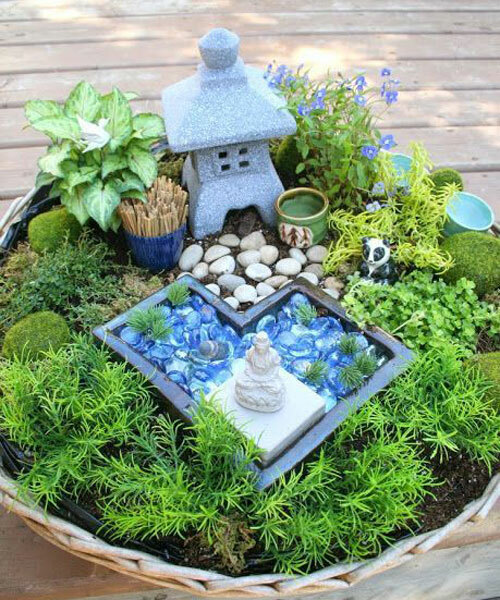 How about using a birdbath and create a world of fantasy by mounding the soil in the center. Strive for unusual textures from plants such as rippled and variegated peperomias, friendship plants (pilea involucrate), pebbles and river rocks. It makes a charming village. Low-Light Plants: will do well in a north facing window as they do not require any direct sunlight. Potted plants can also be placed in the interior of a room with moderate light from eastern, western, or southern exposures. Medium or Bright Indirect Light Plants: like an east or a west facing window or should be placed at least 2 feet away from a south facing window. A western exposure needs to provide indirect light through the morning and early afternoon. It it receives more intense light and becomes hotter in the afternoon, place the potted plant farther into the room. High Light Plants: should be placed in a south facing window that provides the brightest light conditions for the longest time each day or in an unobstructed west facing window that gets up to four to six hours of direct light in the afternoon. Make sure to check leaves for sun scald, and rotate the flower pots for even plant growth. We all know that "Herbs are weeds" but you must admit that they are the most attractive looking and tastiest of weeds you will ever come across, and that is why gardeners as well as culinary cooks love them. Most of the time when you think of herbs you think of Rosemary, Thyme, Dill and Parsley. These are all well know and popular herbs that we all love. However for gardeners who want to expand their boundaries as well as their palates there are mystery herbs that have pizzazz, vibrant taste and are easy to grow. So lets take a look outside the basic herbal box and introduce you to some plants that grow beautifully in garden planter pots as well as soil. Borage - look weird but tastes like cucumber. This underappreciated annual herb is a gem. It prefers warm temps, so direct-sow the seed or place transplants into the garden when nighttime temperatures are consistently above 50 degrees. Once this is planted you will never have to plant it again-unless you move it. Use: Use the new leaves and flowers, which have a delicate cucumber flavor, as a garnish in salads, drinks or froze ice cubes. Garlic chives - pack a pungent punch. With their flat, wide leaves, garlic chives are slow to emerge in spring. 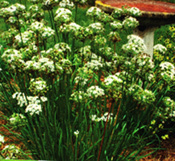 They have a wonderful garlic flavor, great green color, and showy white flowers that look stunning in a garden planter. The cut flowers hold well in a vase bouquets. Buy this herb as a transplant, or because it divides easily, encourage a friend who has it to give you a hunk. Use: Chop the leaves and use fresh or dried in soups, salads, and marinades to add some garlicky onion flavor. The flowers make a great garnish. Stevia - the sweetest herb of all. The leaves of this plant are sweeter than sugar. Because it loves warm weather, it must be planted when temps are 50 degrees or above. Be sure to cut off the white flowers to encourage this herb to make more sweet leaves. 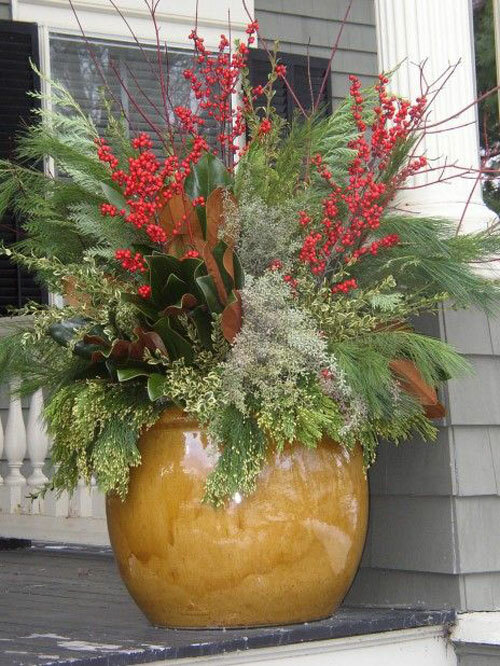 You can plant directly into a garden pot and then bring it indoors when it gets cold. Uses: Steep the foliage in water, then freeze the strained liquid in ice cube trays to use in tea or lemonade. The leaves can be dried, as well as added to a brewing pot of tea or coffee. Bring the water to boil, add stevia leaves, allow to steep until cool. Strain, and refigerate for up to 5 days or freeze to use later. Mix the infusion (above) to taste with unsweetened tea or lemonade. 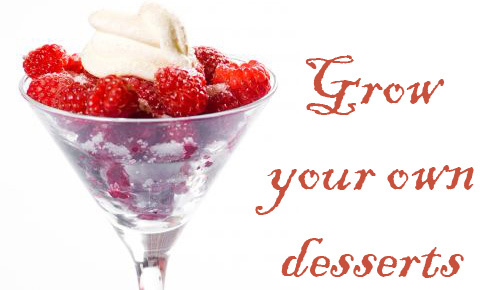 Serve over ice, and garnish with a sprig.